Boruto just came back from its holiday break with a brand-new episode, and its outro did not disappoint. The series added a new theme to roll out its episodes, but fans were quick to notice one odd thing within the fourth ending. After all, it is kind of hard to miss the Hidden Leaf being destroyed. As you can see below, Boruto: Naruto Next Generations put out its latest ending, and the energetic outro has got fans buzzing. 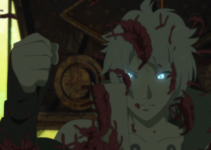 Not only is the sleek reel one of the anime’s best so far, it also touches upon a reality that fans saw just briefly when Boruto began last April. 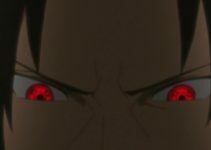 Towards the outro’s end, fans can see Boruto looking down with a sullen expression. The hero is cast in the shadows as his village is shown in the background, but the Leaf does not stay safe. A huge white explosion makes its way across the area, and the reel goes on to show the village being absolutely annihilated. Honestly, it kind of looks like Pain had a second coming with the attack. It is that destructive. Fans of Boruto are surprised to see the telling scene in the outro as the anime has kept its distance from such a plot point. When the show premiered last year, viewers were teased with the village and its impending destruction in a flashforward. The anime began with an older version of Boruto fighting a strange ninja named Kawaki, and the Leaf Village was in total shambles around them. The battle had destroyed all of the Hokage Mountain faces, and the city itself was in no better shape. Boruto has a long way to go before the Leaf Village comes upon the premiere’s dire hour, but the anime wants fans to know it is coming. Its latest ending stresses the trials ahead of Boruto, but he will not have to face them alone. Not only does the ninja have his team, but Boruto will have the guidance of Naruto backing him. So, if Kawaki really wants to end the ninja world, he will have to run through Boruto first. Why do you think the Leaf Village is heading towards destruction? Fugaku Uchiha – The Deserving Hokage! ‘Boruto’ Reveals One ‘Naruto’ Character Is Deathly Ill! 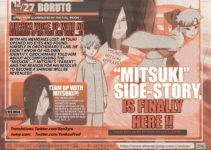 ‘Boruto’ To Reveal The Secrets Behind Mitsuki’s Power Soon!